Anyone using a 'Custom Cans' cable? Discussion in 'Cables, Power, Tweaks, Speakers, Accessories (DBT-Free Forum)' started by ucan, Sep 3, 2018. 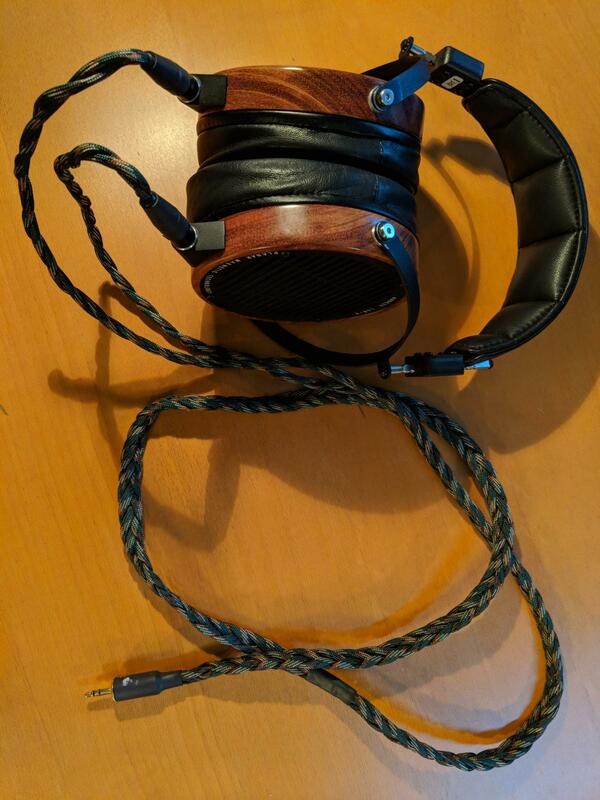 Got my new Custom Cans cable for the Audeze LCD-2 today, and I like it a lot. The camo colour seems to suit the cans; too soon to comment on differences/enhancements in sound, if any. Shipped out of the UK for a 'reasonable' price (around $130-140 CDN.). Anyone else using these, and what do you think?